Craft miso is made all across Japan, with locales like Hokkaido and Nagano getting a lot of credit. But when I heard about a shop using Tokyo miso, I was intrigued. Miso from the big city? Preposterous! Making it just minutes before their lunch shift ended, a proper kanpai was in order. I was having a bowl with one of my best friends, Keizo Shimamoto. You know, the guy who went to New York and crushed the entire casual foodie culture with his ramen burger. This shop is connected to Shichisai and Kujira Shokudo, both known for being MSG free and having excellent homemade noodles. Two ramen nerds trying something new. We live for this sort of thing. Very unique. The miso was a red miso, a bit sweet, without much impact. The relatively light taste of the soup meant that any other strong flavors would take center-stage. The stronger flavor? Those little drops of oil were gobo, burdock root. Along with some crispy fried gobo on top, this was kind of a gobo overload, with the fried taste leaving a strong aftertaste on the tongue. No necessarily bad, but kind of a strange, earthy taste that lingered for about 20 minutes. I know that, at least in America, urban ingredients are kind of hot. A possible new trend? Mine was the tokusei, special ramen, on the top row at 980 yen. About a month ago, with a TV crew in tow, I showed up at Daichan to disappointment. This is one of those shops. Middle of nowhere, highly ranked, only open for a few hours a day, and often closed well before the posted closing time. Well, the posted closing time of 2:30pm is just a suggestion, as the official time is simple when the soup and pork run out. And on that fateful day, the soup had run out. So when my English education company sent me to do a children's camp just 20 minutes away, I made sure to return. The wait was longer than my drive, though a proper drive from central Tokyo would take about an hour and a half to get here. I immediately ordered the chashumen, hoping to dine on copious amounts of fatty roasted pork. In broken English I was told that the pork was almost sold out, and I would have to settle for the regular bowl. That and an order of the shop's famous gyoza. The gyoza dumplings look to be a huge draw, and you can take massive orders to go. 50 pieces for 2000 yen? That seems ridiculously cheap. The ramen was exactly what was expected. A heavy, intense pork broth topped with a few pieces of mega-tender chashu that made me wish I had arrived earlier. By the way, the pork was almost out at noon, and the shop had only opened at 11. A tad on the sweet side of the spectrum, but balanced by the use of extra ground pepper on top. Chiba has a reputation for gatsuri style ramen, intense flavorful stuff, and Daichan lived up to the hype. Closest statrion: Kimitsu, but it is far. You could argue that Hototogisu is the best ramen shop in Tokyo, and though the use of the superlative might be questioned, no one would reject your opinion. You could also argue that their Thursday only, Ura-Hototogisu shop is the best ramen shop in Tokyo. Both are that good. Until a couple weeks ago. Hototogisu is now a seven day a week operation, with yet another limited one-day bowl on Fridays. Hototogisu Ha (覇 means champion) does a beef and miso ramen. In typical kodawari fashion, everything about this one is premium. Two different beef stocks are paired with two different Japanese dashi, making this officially a quadruple soup ramen. The beef is highly ranked (between A3 and A5 grade) wagyu. Solid. Personally, I prefer the other two Hototogisu offerings over this one, as anything beef tends to be on the sweet side for me. Certainly a close second to Matador, though. I went with the 1150 yen gyumashi (牛肉増し) version that came with an extra-large helping of beef. As always, show up at 11:15am or be subject to the possibility of a very long line. Should I post about long-gone gentei bowls? Sure, why not. If anything, a solid gentei limited offering is a sign that the shop's regular menu is doing well enough to warrant some experimentation. Saikoro is doing things very well. Homemade hot oil and homemade noodles. Just enough non-noodle parts to keep focus on the excellent homemade noodles. Even though this limited bowl is a thing of the past, you should really head over to Saikoro, as they are one of Tokyo's best ramen shops. My review of Saikoro is here. My review of Rabo is here. I have a list of shops to visit, sitting at 29 at the time of writing. It was 30, but I finally made it to Sugimoto. This one was for a TV shoot, and they insisted on visiting somewhere I hadn't been. This is a risky move, as I refuse to lie on TV if bad ramen is put in front of me. Luckily, Sugimoto was recommended by one of Tokyo's top ramen chefs, Miyazaki-san over at Soranoiro, and his stamp of approval is powerful. Special shio ramen. This one promised to be topped with extra chashu pork, an egg, and some of the shops homemade wontons. Yep, a simple, yet perfect bowl. This is the trend these days. Overly simple clear broth, meticulously created to be at a maximum level. 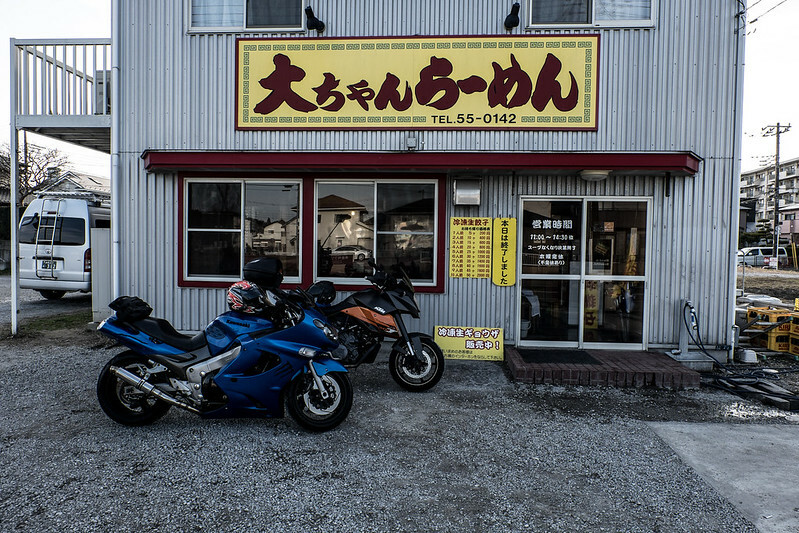 The master trained at Shinasobaya, the shop made famous by late ramen master Sano-san. Love those eggs! Good eggs are kind of normal these days, but these seemed better than average. Turns out they are hard-to-procure Nagoya Cochin chicken, considered some of the best in Japan. The cost of these eggs are very high, and the master told me that he pretty much breaks even with these. Of course, the shop has a shoyu ramen as well, and tsukemen, which is all good I assume. Even though the Seibu-Shinjuku train line sees very few sightseers, the ramen on this line is amazing. Shichisai, Hanamichi, Muteppo, and now Sugimoto sit very high up on my list of favorite shops. Good advice for most ramen shop chefs, and equally good advice for authors, is to avoid reading reviews on the internet. That said, the minute I picked up Ivan's new cookbook and memoir, I went straight to the 1-star reviews. Of course, when you see that there are only a handful, you realize that they are moot. Yes, this isn't a typical cookbook. Typical in the sense of hundreds and hundreds of recipes. But as far as ramen (in ramen shops) goes, any ramen shop with a massive menu covering the entire spread of the ramen world is gonna be a bad time. Ivan Ramen, the book, is essentially an intense breakdown of what goes into a bowl of ramen. It is no surprise that the word obsession is in the title. The book is half memoir, half recipes, and half about ramen culture in Japan. With a disheartening introduction by David Chang about how people don't get ramen. The recipe is perfect. Ivan breaks down the components of ramen step by step. Ramen isn't a soup dish, where everything goes into a pot. Ramen is layers and layers. Focus on each individually, and tweak as needed. I love this approach, though it might be a little daunting for the casual home cook. Of course, he gives recipes for some of his other dishes, as well as all the toppings. I think most home cooks will try to make the four cheese mazemen. I miss the four cheese mazemen, as Ivan Plus is now closed. Hey, I'm in the book! Yep, that is me in the black t-shirt at the opening of Ivan Plus. I never signed a release! I want my royalties! Along with an awesome shot of my bad posture are some excellent interviews with Osaki-san, the most famous ramen critic in Japan, and Shimazaki-san, the Rock and Roll ramen chef. These give a cool little insight into ramen culture in Japan. Most overseas food fans outside of Japan don't realize how big these names are. I'm not an avid cookbook collector, but this one seems like a must-have for anyone who would ever consider making ramen at home. Hey, you could even outright steal the recipe and open your own shop, if you were so inclined. The book is only about $20 these days. One of these days I'll start cooking at home. And when I do, I'll give this recipe a try. I'm curious to hear if any of my readers have tried the dishes in this book. Let me know!